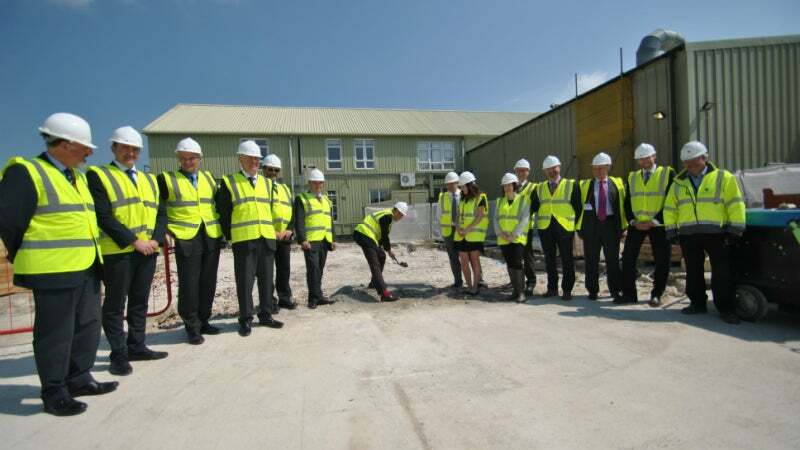 In a ceremony led by Salisbury’s MP John Glen, Porton Biopharma has initiated construction of a new multi-million facility. The investment will see the creation of a pharmaceutical process facility that contains a new state-of-the-art fermenter, process train, and associated utilities. The 2,100m2 building and associated plant is designed to enable PBL to optimise capacity and more efficiently manufacture medicinal products in a modern environment, which will continue to comply with all the latest pharmaceutical regulations. An added benefit is the facility will include a viewing gallery to enable visitors to see the high-tech process without having to go through the rigorous gowning-up processes, which are required for everyone that enters clean-room pharmaceutical manufacturing facilities. PBL is committed to developing and producing a range of life-saving products and this is the second major investment in its capabilities, following on from the opening of a multi-million new freeze-drying facility earlier in the year by the Minister for Life Sciences George Freeman. Managing director of PBL Dr Roger Hinton said "To see the start of the construction stage for this new fermentation facility represents an exciting moment of progress for all of us who are dedicated to growing PBL, since it will enable us to produce more of our products that truly make a difference to patients’ lives"
The MP for Salisbury commented, "I am delighted to be here at the initiation of this new phase of construction for PBL, which is going from strength to strength by investing in its facilities in order to cement its position as a leading local life-science company securing important high-value jobs for the area". The construction phase follows on from work to prepare the site by the demolition of some older facilities and will also include construction of a new workshop and water plant room to support the main fermentation facility. That will then be followed by a phased programme of equipment installation and pharmaceutical validation. Whilst work is taking place, PBL will continue to manufacture in its existing plant, but looks forward to when it can bring the new capacity on stream to meet the increasing global demand for its products.